The Oyster 625 is part of Oyster Marine’s current model line, taking the place of the highly successful Oyster 62, of which 21 hulls were made. Perhaps the most notable feature of the 625 series are the vertical “sea-scape” hull port windows. A concept derived from much larger superyachts, this feature creates an amazing view to the outside world from down below. The new hull design has a narrow entry with beam carried aft making for a fast, comfortable ride at sea with the buoyancy needed for a long-distance cruising load carrier. On deck, sail systems are fully automated and operated from the helm, making a yacht that can be easily run as an owner-operator. Below decks BANDIDO boasts four spacious cabins plus forepeak/workshop. The interior joinery is of white maple with rich, contrasting teak soles. Loaded with amenities, BANDIDO is a pleasure to be aboard for extended cruising. Due to a change in owner’s plans, BANDIDO is seriously for sale and represents a significant savings over new construction, without the wait. Call for personal inspection. 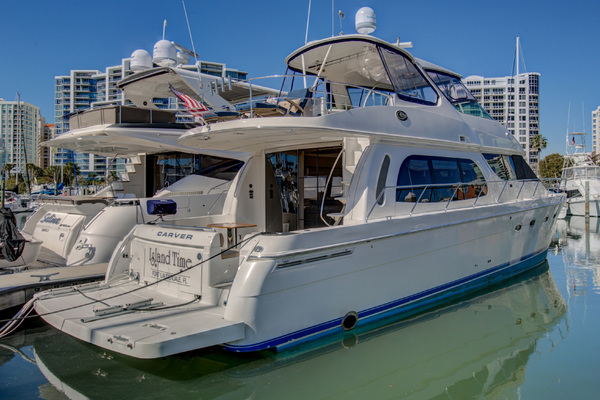 United Yacht Sales New Jersey would love to guide you through a personal showing of this 63' Oyster 625 Deck Saloon 2011. This yacht for sale is located in Portsmouth, Rhode Island and priced at $1,300,000. For a showing please contact us by filling out the form on this page and we will get back to you shortly! HULL: The fiberglass hull is laid-up single skin with structural stringers and floors to Lloyds-approved design specifications. The outer hull laminate incorporates Kevlar and carbon fiber, built to comply with the requirements stipulated in the European Union’s recreational craft directive (EURCD) to meet design category A – ‘Ocean.’ HULL COLOR: White with blue cove line and double boot top lines. Stern design incorporates a swim platform, finished in laid teak and molded fiberglass steps trimmed with teak, for access to the stern deck, and fitted with a deep stainless steel bathing ladder with oval treads. All surfaces and upstands in ‘Pearl’ Avonite. There is abundant storage in cabinets and drawers throughout. NAVIGATION AREA: To starboard of saloon with chart table, locker and bookshelf. Electrical service panel located inboard aft of companionway within easy reach. Battery isolation breakers. CREW CABIN: Steps lead down from navigation area into passageway with access to a twin-berth crew cabin. There are double doors opening into engine room for great access. ENGINE ROOM: Sound-insulated with 24 V lighting and extractor fans. Accessed via double-hinged doors from crew cabin. OWNER’S STATEROOM: Aft cabin has a queen berth centerline with under-berth drawers, dressing table/desk and large hanging lockers with built-in safe. There are numerous drawers and lockers for storage and a 26” flat screen TV mounted on the forward bulkhead. Private access via sliding hatch and ladder to the aft deck. Plenty of ventilation with large deck-opening hatches, opening hull ports and coach roof windows. ENSUITE HEAD: Aft cabin to starboard is the owner’s head with large basin area, double vanity doors and shower stall. Par Quietflush toilet. Full-length beveled edge mirror on cabin door. Onan 21.5 kVA generator – 110V @ 60Hz, approx. 1000 hrs.